Angulimal had murdered numerous people and he had vowed to kill one thousand men.Whenever people learned that Angulimal was hiding nearby they would leave that place. Even the king was afraid of Angulimal. The soldiers were unable to catch Angulimal. 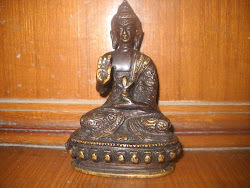 Buddha was through the forest and people prayed to Buddha not to go through the path as Angulimal was there.They warned Buddha," Please don't go through this path, Angulimal would kill you,he is a cruel monster." Buddha told them,"There is nothing to fear.Once I have chosen my path, I will surely go through this.I will see to it that Angulimal kills me or I kill Angulimal." Gautama went ahead in the forest. Angulimal was waiting for somebody to come his way.He saw Gautama from a distance,an unarmed monk in a peaceful mood with aura around him coming towards him. Angulimal warned Buddha ," Don't come here, don't proceed further.You are a monk, I take pity on you go back and don't come back here again.I will kill you." Gautam Buddha replied," I am not used to taking sympathy from anybody.I am coming to you and you can come to me. "Angulimal was astonished to see a fearless man like Buddha.Angulimal wondered every person who comes near me,pleads for mercy and shivers with fear but this man knows no fear,he is coming towards me without a hint of fear. 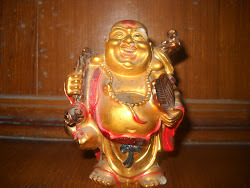 Angulimal took his sword and ran towards Buddha," You are going to be dead soon. "Buddha said" Before you kill me, just do one little thing for me.Go and fetch four leaves from the tree." Angulimal went and brought a branch of leaves to Buddha and said,"You can take as many leaves as you want. "Lord Buddha then said," Now do one more thing, before you kill me.Please attach the leaves back to the trees." Angulimal said," That is impossible." Buddha replied,"Plucking leaves is the easy part even a child can do this.One who can attach life to these leaves is a real man with character.You are a weak person .You only know how to take life.You must leave this misconception that you are a strong man.You can't even put a leaf back to the tree." For once Angulimal thought for awhile,"Is there a way to join a leaf back. "Buddha replied,"Yes,there is a way.We are following that path only." Angulimal for the first time in life felt guilt in his mind,"Killing somebody doesn't symbolizes strength .Murdering is an act of weakness.I am not weak .Now what should I do." 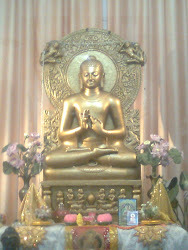 Angulimal fell on the feet of Buddha who guided him to follow the path of Dhamma.Angulimal became a monk and followed Lord Buddha. this is not the true story... are some retard or what? I have read it numerous times, but I loved reading articles about Angulimala. I couldn't help but noticed that you mentioned about Angulimal but it is Angulimala i.e. Anguli means finger and mala means garland.